To serve the demands of major Hollywood production Aloha, Hammerhead needed to deliver quality with speed. 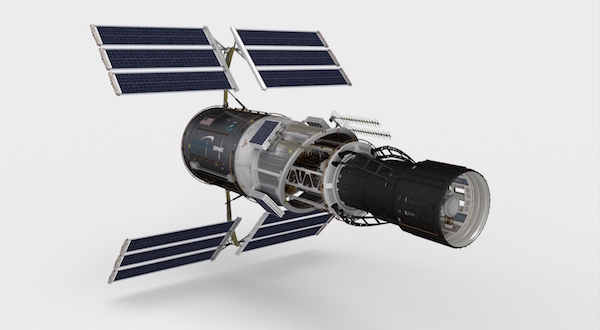 Redshift Render allowed the team to do just that. Founded in 1994, Hammerhead Productions is no stranger to the demands of crafting digital content. Indeed, the legacy of the California-headquartered studio stretches back to the discipline’s formative years, its founding quartet all formerly having served as senior management of Pacific Data Images, which opened in 1980. Yet despite this formidable heritage, Hammerhead isn’t a studio that dwells on the past. Far from it, the team has thrived for so long because they excel at the cutting edge. So it should come as little surprise to learn that Redshift’s rendering prowess today sits at the core of this future-facing production powerhouse. The headcount within Hammerhead’s various operations may not be vast, but regardless, the team shines when it comes to producing high-quality content for an impressive number and variety of projects. Take a glance at the top of Hammerhead’s showreel and you’ll see a wealth of renowned IPs, including 42, Fury, The Hangover, Godzilla and Prometheus. Presently the outfit’s artists are busy building fully-animated television pilots using Redshift. However, the most recent feature film work that harnessed the power of the GPU-accelerated, biased renderer was Hammerhead’s contribution to Cameron Crowe’s 2015 comedy-drama Aloha. Set-predominantly in Hawaii, the film tells a story surrounding the construction of a space centre on the island nation. Hammerhead’s shots involved – among other things – the creation of a satellite orbiting high above the peaceful, blue planet Earth below. Given that the film needed to be as visually sumptuous as its setting, Hammerhead had to meet the high standards of the movie’s production from the off. And that meant that, for a team pursuing quality without an army of artists, expedience was a pivotal factor across the Aloha project. Ultimately, it was Redshift that provided what was needed. But empowered with Redshift, that wasn’t a problem for Pellegrino and his colleagues, as they turned their hands to making Aloha shine. For the Aloha project, that rendering speed afforded Hammerhead much more than simply trumping deadlines. In fact, it defined the workflow of the production team, and the creative relationship with the project’s director. Few universal rules apply to the reality of digital production, but delivering quality early to avoid friction later on is a gold standard for many. And it’s a standard to which Redshift can serve as a robust foundation. Meanwhile, for a team like Hammerhead – which embraces projects that demand a striking diversity of aesthetic styles and technical approaches – Redshift’s biased rendering approach is ideally suited for work that straddles various degrees of realism. It doesn’t take a digital production expert to know a 10-fold time saving can engender a powerful impact in the creative industries. But for those with years in the sector, the impact that can have on workflows, quality and output is wildly exciting. Yet it would be inaccurate to singularly emphasise Redshift’s GPU technology with a narrow focus on time saving. 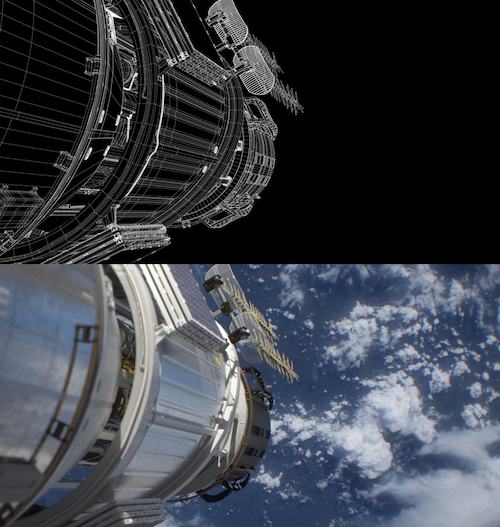 Elsewhere, Redshift’s progressive rendering mode has provided Hammerhead with a further boon to the Aloha project. Single-click progressive rendering allows Redshift users to preview scenes without any need to wait for GI pre-passes, both conveniently and interactively. And for Hammerhead’s contribution to Aloha, it meant tremendous benefits thanks to the ability to apply real-time changes. Today, Aloha is out in the wild, and as ever, Hammerhead continues to look forward. 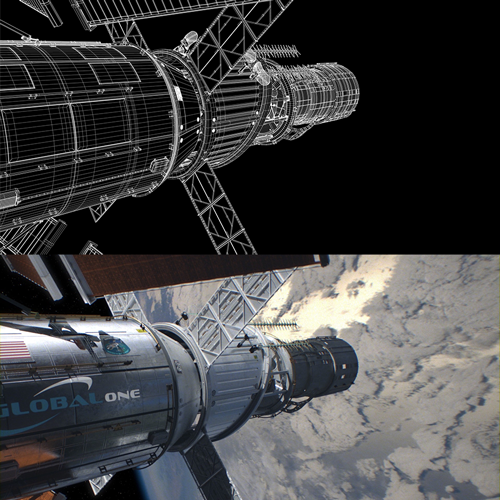 It would seem that Redshift will remain an important part of the studio’s future. Pellegrino and his colleagues have been delighted by the renderer, and its overall impact on their output, efficiency and even hardware options. Redshift’s contribution to Aloha was a triumph, and Hammerhead’s experiences with its toolset has left the team confident they picked a solution that stands alongside the best available for digital production.